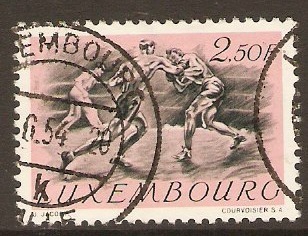 Luxembourg 1952 2f.50 Olympic Games series. SG555. Fine used 1952 2f.50 Olympic Games series. SG555. 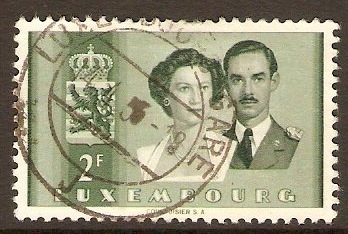 Luxembourg 1953 2f Royal Wedding series. SG565. Fine used 1953 2f Royal Wedding series. SG565. 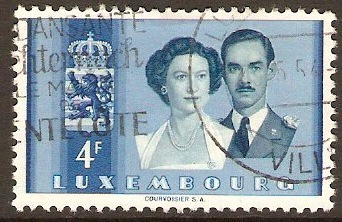 Luxembourg 1953 4f Royal Wedding series. SG567. Fine used 1953 4f Royal Wedding series. SG567. 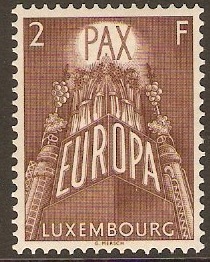 Luxembourg 1954 4f International Fair Stamp. SG579. 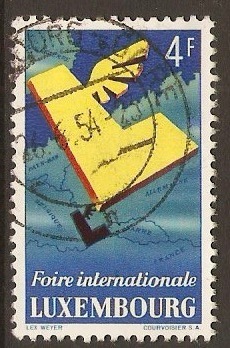 Fine used 1954 4f International Fair Stamp. SG579. Luxembourg 1956 European Coal & Steel Stamp. SG606. 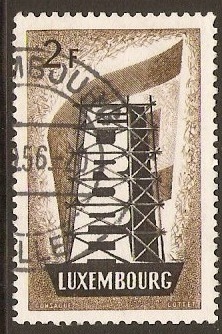 Fine used 1956 European Coal & Steel Stamp. SG606. 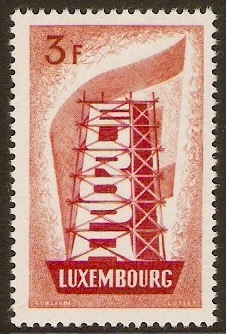 Luxembourg 1956 Council of State Set. SG613-SG614. Unmounted Mint 1956 Council of State Set. SG613-SG614. 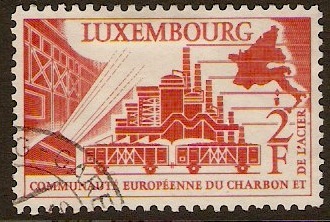 Stamps celebrating the centenary of the Council of State. 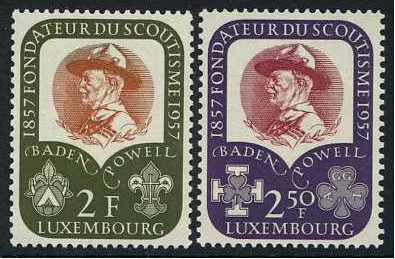 Luxembourg 1957 Baden-Powell Set. SG621-SG622.